The 2009 Moto GP season is right around the corner with competitors making final preparations prior to the curtain-raiser in Qatar on Sunday. The riders are seemingly relaxed and content with a lot less horsepower than they're normally used to before the qualifying starts Friday. The man they are all chasing is Valentino Rossi, as the five time MotoGP champion looks to get off to a solid title defense. The race around the Losail circuit will be the second one conducted at night – an added challenge for some riders. 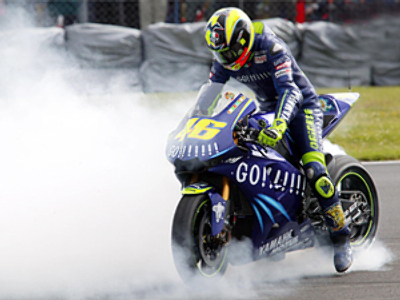 Valentino Rossi, meanwhile, named 2007 winner Casey Stoner and Jorge Lorenzo to be among his main challengers.